Hammacher Schlemmer has some really amazing toys and products, but The Dogbrella is the most ridiculous one we’ve come across yet. 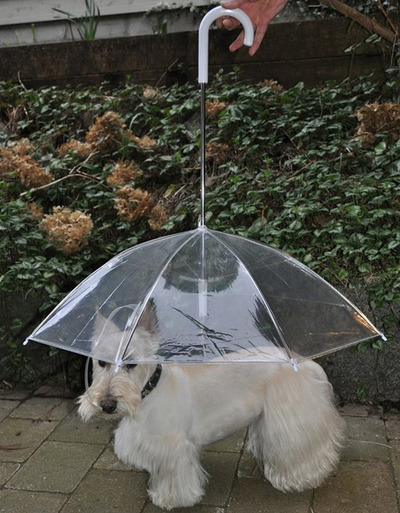 First seen on The Fancy, this inverted umbrella is for leash-trained dogs up to 15 pounds and “forms a waterproof cocoon around a small dog, enabling canine and master to maintain a walking regimen in inclement weather,” according to the product description. 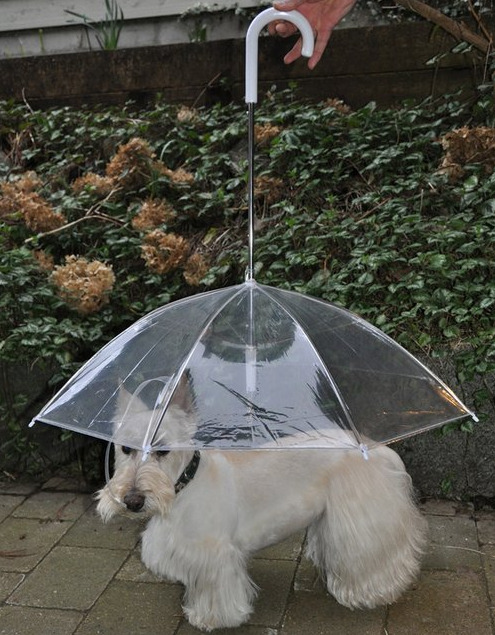 And in case you were wondering how you would keep your dog under the umbrella, don’t worry: The $30 Dogbrella hooks to your dog’s leash or collar. 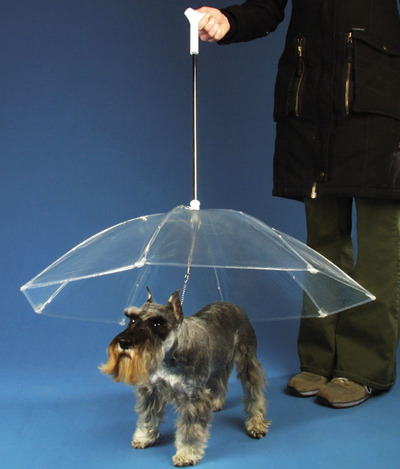 Where To Buy: Available through Hammacher Schlemmer. Want to nominate a cool product for Stuff We Love? Send an email to Megan Willett at [email protected] with “Stuff We Love” in the subject line.